Nonprofits, associations and clubs are all looking for sponsors to help them meet their mission. 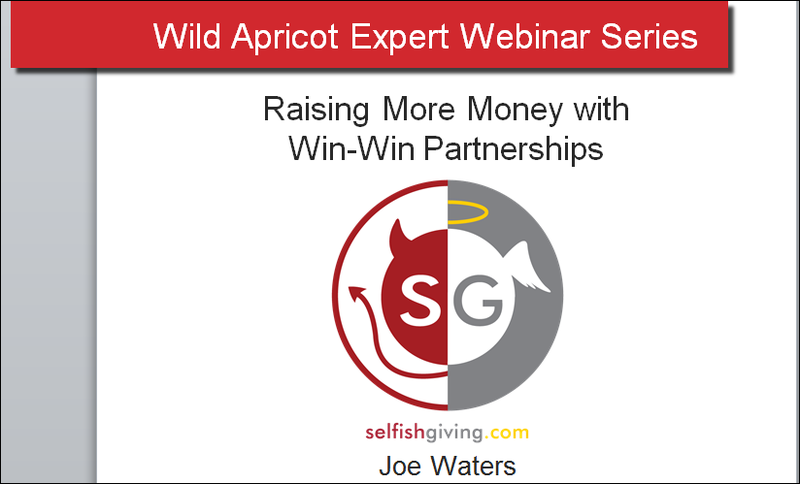 So we asked cause marketing expert, Joe Waters, to present a webinar to offer up some tips to help us build “win-win” partnerships with sponsors. Here are are highlights from the webinar we held on May 21st and the top 7 tips I learned from Joe’s presentation. Joe Waters is a Boston-based marketing and fundraising consultant, professional speaker and the author of several books including: Fundraising with Businesses, Cause Marketing for Dummies, and QR codes for Dummies. Joe started selfishgiving.com in 2004 and has become a leading expert in cause marketing. But as Joe explained in his introduction, he started off (just like many of the webinar participants) as a local fundraiser looking for sponsorships for organizations, such as a small hospital in Boston. He wanted to assure us that to be successful in gaining sponsorships you have to be a huge organization with million dollar budgets. As Joe noted, you start small and find local businesses, building “win-win” partnerships over time. It’s about “philanthrotunity”. Companies today are much more mindful of integrating a cause into their organization. Companies get it, they know why it’s important to work with associations, chambers, nonprofits. It’s about a company writing a check and in exchange, that company gets promotion through the association or nonprofit’s programs, events, etc. That’s why he calls it a “win-win” partnership, because it benefits both the nonprofit, association or club as well as the sponsor organization. 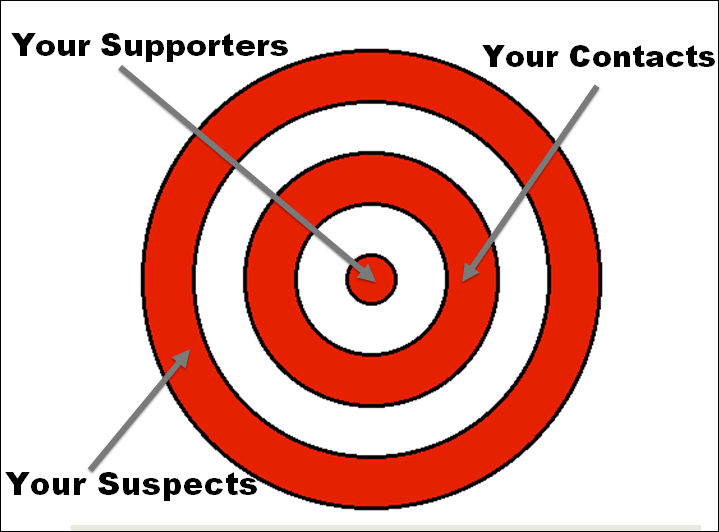 Focus first on your inner circles – your existing supporters and contacts. This might include a large donor or a vendor with whom you have an existing relationship. Work their circle – business people/partners who can introduce you to other companies. Once you’ve established the relationship and had some success, you can then start to work your way out to the outer circles, looking at “your suspects.” These may offer the most opportunity, but are also the most challenging, since it may involve making cold calls, sending information, etc. And since they don’t know you and you don’t know them, it is a bigger challenge than going after contacts or supporters. In order to be really successful, you need to become a “magnet” for sponsorship opportunities. Create something magnetic that you can be known for. “Brands command”! So be a brand that people can connect with, respect and admire. 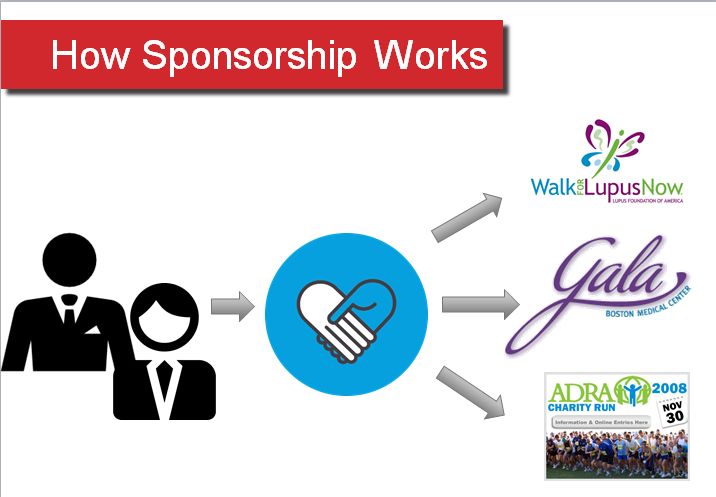 Sponsors want to be associated with organizations that are awesome. Think about brands that you love - why is that? How do they make you feel? It’s not about size. For example sometimes a small membership base offers the right niche for a potential business partner. to show the impact clearly, powerfully. You are likely having an impact but are you communicating it clearly? When you find an organization that may be interested in sponsorship, you need to be prepared to provide answers to questions that sponsors have. They want you to explain how their relationship with you will lead to something for them! To figure out what your organization might have to offer a sponsor, Joe suggested you brainstorm what you have that might be valuable to a sponsor. This involves doing what he called an “Asset Analysis”. 4. Build a strong brand using content marketing. Joe noted that “Content Marketing is the only marketing left”. You need to find ways of building a strong brand through content marketing. This means “telling without selling”, finding unique ways of demonstrating your impact and getting your message out. He offered examples, including how the WWF created a social media campaign around #EndangeredEmoji’s that offered a fun way to educate people about endangered animals. 5. Pick your shiny object & create awesome content for that one vehicle. There are so many communications channels – from web pages, to blog posts, social media campaigns, e-newsletters and more. But Joe noted that you should try to pick the one “shiny thing” and build an “awesome” campaign on that channel. For example, he noted an organization that had just one staff person who created videos about homeless people. While they had a tiny budget and limited resources, they used powerful videos to tell their story and gained large sponsors. So whether you do an e-newsletter, or a blog or a video, make it awesome! It’s not enough to publish your great content on your blog or in your e-newsletter – you need to promote it too! Joe noted that corporate partners want to know that you understand how to promote them to your audience. So spend more time promoting your content over many more channels. Joe noted that when he started blogging he used to expend 90% of his energy on creation and 10% on promotion. But now he’s changed the equation to 30% on creation and 70% on promotion. You need to promote your awesome content! The thinker - who’s looking for analytical information such as how much exposure will they receive? what type of audience do you offer? Give them lots of statistics and logical reasons why they should get involved. The feeler - this person wants to connect emotionally, he or she may want to visit your organization, etc. The deferrer - they are connected to the credibility of those who referred you to them. Want to check out the full webinar presentation? You can view the entire webinar video or review the slide presentation here. Images: All images in this post were taken from Joe Waters presentation: Raise More Money With "Win-Win" Sponsorships.